Parks Project is an outdoor lifestyle brand created with the sole purpose of saving U.S. National Parks. After a weekend volunteering in the Santa Monica mountains, friends Keith Eshelman and Sevag Kazanci were struck by the challenges facing America's underfunded national parks and decided to do something about it. After being educated by park staff, and witnessing firsthand the lack of participation in our under appreciated national parks, Founders Keith and Sevag came up with a solution. They combined their knowledge gained from working at social enterprise company TOMS, and created collections of park goods that directly fund backlogged projects in the parks. Fast-forward to today, they have contributed over $200,000 to park partners and paired up with 100 specialty stores, with recent plans to roll out in REI stores nationwide. Each product purchased contributes directly to one of over 30 different conservancies across the USA, providing vital funding for the ongoing care of National Parks. For all that these places give to us, together we can give something back. This vintage-inspired Joshua Tree Tee supports the Joshua Tree National Park native plant nursery. With every 5 Joshua Tree products sold, it helps support the planting of 2 additional native plant species in the park. 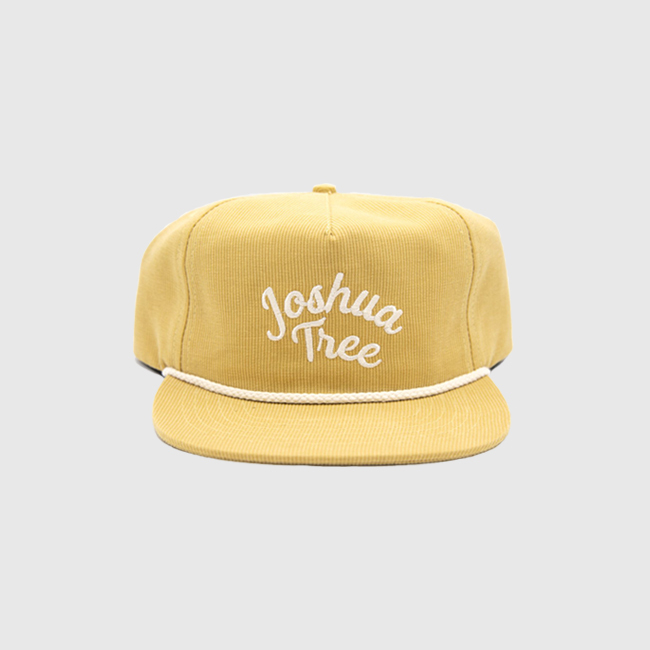 This throwback Joshua Tree hat supports the Joshua Tree National Park native plant nursery. With every 5 Joshua Tree products sold, we support the planting of 2 additional native plant species in the park; mitigating the impacts of climate change by propagating plants for habitat restoration projects throughout the park. This Vintage Style Map Poster of the Pacific Crest Trail is perfect for those who have been on the trail and those who aspire to. It also helps supports the Pacific Crest Trail with 10% of every purchase going back to the Pacific Crest Trail Association.